With the release of dozens of white doves, the CPP on Sunday closed its annual celebration of the 1951 founding of the Khmer People’s Revolutionary Party (KPRP), which it considers its own birth, with leaders telling of their roles in Cambodia’s independence and the downfall of Pol Pot. Coming weeks after the death of the CPP’s founding president, Chea Sim—who fought with the anti-colonial “Issarak” forces in the 1950s and led the anti-Pol Pot rebels at the end of the 1970s—Prime Minister Hun Sen reminded those at CPP headquarters of the ruling party’s illustrious history. “Today is a very auspicious day on which we gather to commemorate the 64th anniversary of the creation of the CPP​​, which has a bright history…as the only political force that fought to overthrow Pol Pot’s genocidal regime,” Mr. Hun Sen said. Yet absent from celebrations was any mention that, for the four decades before the ruling party rebranded itself as the Cambodian People’s Party for the 1993 U.N.-led elections—including the years its current leaders served in the Khmer Rouge—its ideals were of revolutionary and egalitarian communism. David Chandler, a prominent historian of Cambodia, said the CPP’s selective memory of its political roots was due to a desire to promote popular past achievements without drawing attention to a political creed now tarnished in Cambodia. “The CPP enjoys having the longest history of today’s parties and of having been a ‘resistance’ party in the colonial era, but its communist-oriented content has seeped away over the years,” said Mr. Chandler, now a professor at Melbourne’s Monash University. 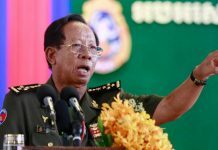 In recent years, reminders of the ideological roots of the CPP and its leaders in the 1980s have continued to provide an expedient point of attack for the CNRP, with deputy opposition leader Kem Sokha drawing public rebuke from Mr. Hun Sen in April after describing the CPP as “communist” in a speech. John Ciorciari, a Cambodia scholar at the University of Michigan’s Gerald R. Ford School of Public Policy, said the CPP remains so sensitive to reminders of its past due to communist artifacts that remain inside the party despite its ostensible embrace of the uncertainties of a democratic system. “The CPP’s official rhetoric emphasizes democratic ideals, and its policies have little discernible communist character, but it still carries important vestiges of its communist past, including structures like the politburo and central committee and practices such as heavy-handed enforcement of party discipline and repression of political dissent,” Mr. Ciorciari said. Ou Virak, a political consultant and founder of the Future Forum think tank, said that while most of the leaders of the CPP cut their teeth politicking under the communism of the 1970s and 1980s, the modern party has embraced commercial interests. “It is not a communist party. The way they run the country is a bit more authoritarian, but those words have gotten confused a bit due to the Cold War, when they were used interchangeably and we were a pawn in the Cold War chess game,” Mr. Virak said. The CPP has long been accused by the opposition of maintaining its iron grip on state levers and economic resources since the restoration of democracy in 1993 by stacking the bureaucracy and key institutions with old communist loyalists. Besides maintaining a majority on the country’s electoral commission until the turmoil of the disputed 2013 national election forced it to compromise, the CPP government has also closely curated broadcast media ownership to black out critical voices. Mr. Jennar said the prioritization of such unity in the face of challenges to its power was one of the few remaining influences of communism, arguing that the modern CPP has changed irrevocably from the party whose birth it celebrates. “The CPP still celebrates [June 28, 1951] as its birth in an attempt to show that it is a political actor deep in the political history of the country, the party whose leaders never left the country and faced all the phases of the Cambodian tragedy starting with the fight against colonialism,” he said. CPP spokesman Sok Eysan said the ruling party’s communist roots were a product of the period in which it emerged, and that it was disingenuous for its critics to focus on such an aspect of its history when the party has chosen to move on. “The CPP’s political strategy has been linked to the real step-by-step situation of Cambodia and the development of the nation. The party’s strategy is to be flexible and to comply with the situation in each phase our society faces,” Mr. Eysan said. “Before, the CPP has been accused of being a communist party, but now we have implemented the 1993 Constitution that states that Cambodia enacts plural democracy so the CPP can no longer be accused of being a communist party,” he said. In that sense, the CPP today is something of a Frankenstein’s monster, born out of the pragmatic abilities of Mr. Hun Sen, who modified a political machine built for the 1980s into one suitable for the 1990s, said CNRP lawmaker Son Chhay. “The people after the Khmer Rouge were pissed off with anything to do with communism, so Prime Minister Hun Sen pushed for us to be more open because he had to convince people the government was different to Pol Pot,” Mr. Chhay said. 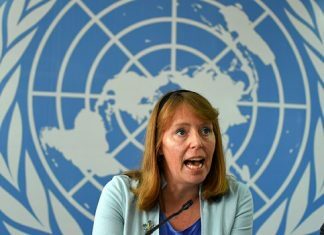 UN Special Rapporteur on Human Rights in Cambodia Rhona Smith again has been refused permission by Cambodia’s government to meet and speak with detained political opposition leader Kem Sokha while she visits the country from April 29 to May 9, Smith said on Thursday. Will Cambodia Be the Latest Country to Have a National Crypto?